BOOK DESCRIPTION: Dylan Sullivan, a renowned boat builder, has spent his entire life sailing around the world. But while he’s always enjoyed the freedom of the ocean, when Grace Adrian shows up at his Seattle boathouse to interview him for a magazine, it’s love at first sight. Love for both Grace and her ten-month-old son, Mason, with whom Dylan has an immediate bond. And every moment they spend together makes Dylan more and more certain that a love like theirs is worth risking everything for. This was a great story, I couldn't put it down!! 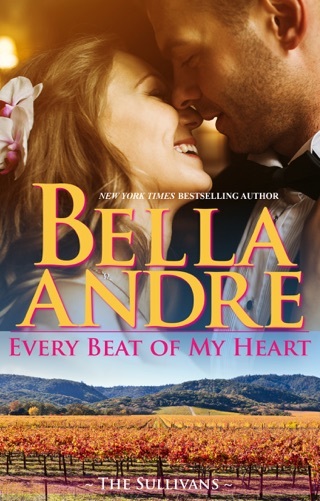 I have loved and read every thing Bella Andre has written and look forward to her new ones coming out! Well worth the wait!! Get out the snooze patrol these are the two least interesting Sullivans in Seattle, SF or anywhere in the world. I've read all of the previous 12 stories but can't get through this book. Way too much inner dialogue, the conflict to the romance is ridiculous and the "just knew" he/she was the one at first sight is pathetic and not even close to interesting. I just loved Dylan, he knew from day one Grace was it for him. His love for her and Mason was awesome. Throughout this book he broke down Grace's walls to have the love they felt for each other shine. Great read ladies! Dylan loving Mason was an extra bonus. Plus it's always nice knowing what the other Sullivan's are up to.